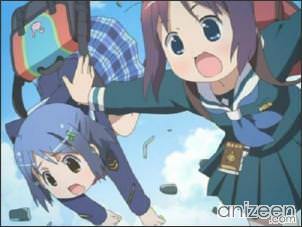 Manabi Straight! follows the lives of a group of young high school girls living in the year 2035 while they attend the all-girl Seio Private High School (私立聖桜学園, Shiritsu Seio Gakuen?). Due to the fact that birth rate has dropped dramatically, schools are being closed down due to the sheer lack of students available to teach. Morale in schools has dropped dramatically, and Seio is no different. 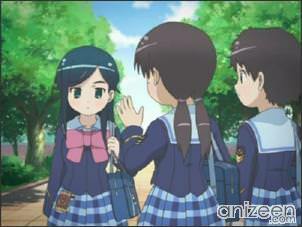 The story begins when the main heroine, Manami Amamiya, transfers to Seio High School. 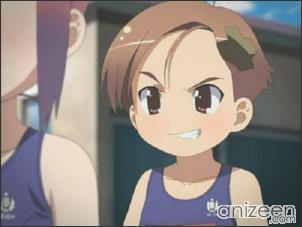 Manami is an active girl with a positive personality, often shouting her personal motto Massugu Go! 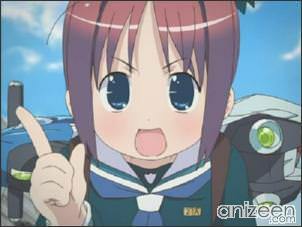 (まっすぐ Go!, Massugu Go!? meaning “Go straight ahead!”). Despite it being the day before her first day, Manami decides to go to Seio to witness the forty-fifth swim meet where four members from six classes participate in a relay race against each other. 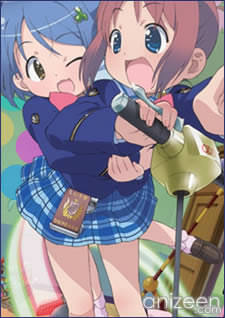 On the way to school, Manami, or Manabi as she wants to be called, meets Mika Inamori, a shy student of Seio who was to participate in the swim meet, despite her not knowing how to swim. After an intense ride together on Manami’s futuristic scooter, they end up literally crashing the meet over the fence and into the pool. 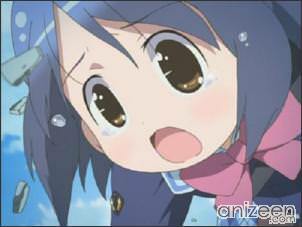 Due to Mika’s inability to swim, Manami stands in for her, though is not very helpful. The next day during a meeting led by the student council in front of the entire school, Mika, the lone student council member and secretary tries to rally students to join the council, but is initially met with an apathetic audience. Suddenly, Manami bursts through the doors of the auditorium on her scooter only to be summarily punished for the disruption. Manami shows interest in becoming the student council president, but since she is a new student and has already caused trouble for the school twice, the principal is reluctant to allow Manami to become the president. 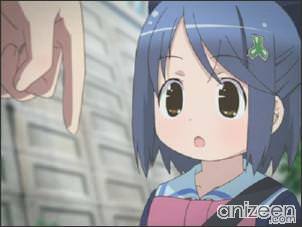 To show the school how much she wants to lead the student body, Manami begins to sing the school song of Seio after hearing it for the first time the day before. At the conclusion of the song, Manami is inducted as the student council president and received well from the entire school. 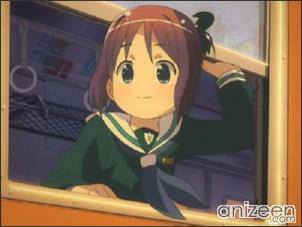 Manami Amamiya, also known as “Manabi”, has a very active personality and gives everything a lot of effort. It is mainly due to her uplifting personality that other students begin to have more vigor in their lives, in contrast to how bland life was before she transferred. After transferring to Seioh Private High School, she becomes the student council president, and sets forth to transform the lives of the students at the school so as give everyone a better experience while attending Seioh. 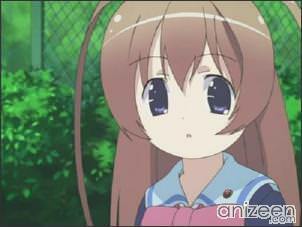 Mika Inamori, also known as “Mikan”, is a shy and clumsy girl who is constantly falling down and bumping into things. As an only child, she has taken advantage of her position and has been spoiled by her parents. After meeting Manami, Mika becomes very attached to her. Mei Etou, also known as “Mee-chan”, usually appears to be a stubborn girl who tends to be industrious and competitive despite her standoffish nature. Mei secretly desires to be friendlier, but finds it difficult to express her emotions. 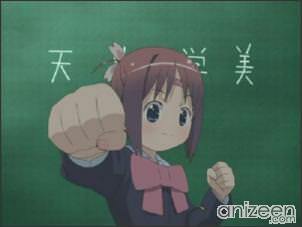 This is due to an event in her past during elementary school when she was unanimously voted to be the class representative. Momoha Odori, also known as “Momo”, is a quiet girl from a rich family who may seem lazy since she tends to sleep during class time. She does not talk much, which usually leaves her to not get directly involved with student council affairs. She is a member of the journalism club and broadcast committee. 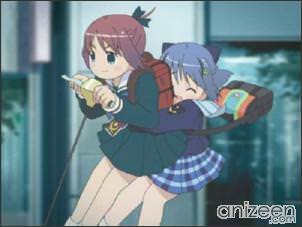 Gakuen Utopia Manabi Straight! (がくえんゆーとぴあ まなびストレート！) or just Manabi Straight!, is the title of a Japanese manga series set in the future concerning the lives of a group of high school girls. The manga was created by the animation studio ufotable and illustrated by Japanese artist Tartan Check and was first serialized in the Japanese manga magazine Dengeki Daioh, published by MediaWorks, on December 1, 2005. 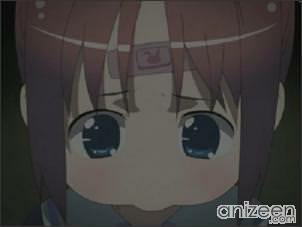 An anime series broadcast in Japan started on January 7, 2007 on TV Tokyo. 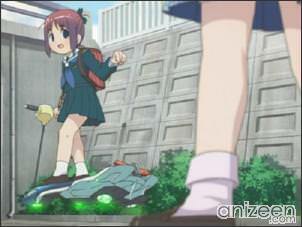 However, only the students look rather like they are in their semi-chibi forms. While all the teachers are drawn in full scale. But then why all adults look taller and more grown up? Maybe they are in middle school?